During the 150-minute questioning session, which the police said went in a manner they wanted, the 32-year-old star batsman accepted that he was doing only what his late captain Hansie Cronje wanted him to do. He named off-spinner Derek Crookes and a few others South African players as being part of the conspiracy, but did not know whether any Indian player was involved. A day after he arrived in the country, which he had skipped twice in the past, Gibbs accompanied by his lawyer Peter Whelan drove to the police headquarters here for a questioning session with the crime branch team headed by Joint Commissioner Ranjit Narayan. From there he was taken to an officers mess in Daryaganj in Old Delhi for detailed questioning. Addressing a press conference later, Narayan said Gibbs had admitted that he had twice received offers from Cronje to “underperform” in a one-day international in 1996 and 2000. Asked specifically if Gibbs had taken money, Narayan said he had not accepted to it. The questioning of Gibbs, after a long wait, has come as a shot in the arm for the Delhi Police, which claimed he had filled up several gaps and the investigation will now move forward with more vigour. “Gibbs has confessed that he had received offers and he was part of the conspiracy. He talked about receiving the offer twice from his captain Hansie Cronje,” Ranjit Narayan told reporters. The nature of the offer was to underperform in return for certain amount of money, Narayan said. Narayan, however, was not forthcoming on whether Gibbs had in fact thrown away the match for monetary gains. “Its for us to find out,” he added. “When you accept an illegal offer, you are part of the conspiracy under Indian law,” he added, indicating that legal action could be taken against him. The process of questioning Gibbs, who had skipped two tours to India before, was initiated after ICC Chief Executive Officer Malcolm Speed met the Delhi Commissioner K.K. Paul recently. “But we did not give him any assurance or undertaking that Gibbs will not be arrested. We had sent a Letter Rogatory to the South African authorities but we have not received any reply yet,” he said. Narayan said the cricketer could be questioned in future also but made it clear that he would not be interrogated during the Champions Trophy. “His lawyers have agreed to cooperate and make him available. Others involved in the case, including South African cricketers would also be questioned. We have certain names but not anybody in the current team,” he said. Gibbs was named by Cronje along with Nicky Boje and Pieter Strydom as the players who had agreed to underperform in a tie in India. Gibbs featured prominently in a series of phone conversations between Delhi-based bookie Sanjeev Chawla and Cronje. Chawla’s telephonic conversation with Cronje was tapped by the police in March 2000. The Delhi Police had arrested three persons — South Delhi-based businessman Rajesh Kalra, late music baron Gulshan Kumar’s brother Kishan Kumar and Sunil Dara — in the case but they were all released on bail later. 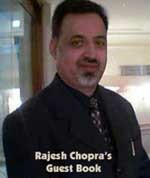 The police are yet to arrest Sanjeev Chawla, the key accused and believed to be hiding in England. Gibbs, who came to the police headquarters accompanied by the South African High Commissioner and his lawyer at around 11 am was whisked away from the venue without speaking to the media, who had thronged the place since morning. 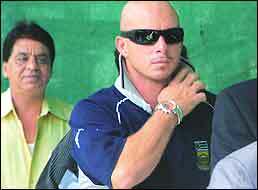 Team-mate Herschelle Gibbs has confirmed that his ex-captain Hansie Cronje was neck deep into match fixing. Six years after Delhi Police blew the lid on one of the biggest scandals in sports, Gibbs told police interrogators on Thursday that Cronje had offered him money to under-perform. The case has taken a new turn with this confession by the South African cricketer. While Gibbs said he didn't accept any money from Cronje, the police said he had admitted to his role in match-fixing. So, they would have to look into Gibbs' bank accounts to authenticate his claim of not taking money from Cronje. Commissioner K K Paul described the outcome of Thursday's interrogation as an authentication of their case. He said Gibbs had not come for question on his own accord. Paul said: "Gibbs has accepted his involvement before us. We had a meeting with the ICC chief executive Malcolm Speed on July 26 in Delhi in which we emphasised how important it was to question Gibbs to carry forward the investigations. Today's development (the interrogation) is an outcome of that meeting." Gibbs also named three former South African cricketers — Peter Strydom, Derek Crooks and Williams — as those involved in the same scandal. Gibbs arrived in the police headquarter around 11 am in the South Africa High Commissioner's official car. The police were taken aback in the morning after they found that the cricketer was not just accompanied by his lawyer but also the South Africa High Commissioner. The High Commissioner took Gibbs to joint commissioner (crime) Ranjeet Narayan's first floor room and then left. After a few minutes, Gibbs went to meet Paul in his room on the second floor. Visibly shaken, Gibbs first apologised to Paul for having called him earlier a "hard-arse guy". Paul was joint commissioner (crime) when the scandal came to light in 2000. Gibbs was then taken to Daryaganj police mess for further questioning through the back door. Gibbs was questioned for almost three hours after which the cops said that they were satisfied with his interrogation. The questions put to him veered around the letter rogatory sent to South Africa in 2000. These included the conversations between bookie Sanjeev Chawla and Cronje in which his name cropped up several times. The South African authorities are yet to reply to it. Gibbs's lawyer told Narayan that the South African authorities had made a mistake in not returning the letter. The cops said that Gibbs's admission before the King's Commission will act as corroborative evidence for them.